Prior to their marriage in 1996, Dylan and his fiancée Margaret (Meg) Jenkins would begin the long road to Orthodoxy via the meeting of their future brother-in-law, John Oliver. John became a convert after experiencing a life-changing visit to the Valaam Monastery two years before. John was faithful and diligent in his participation of Orthodox life and contemplated becoming a priest. The initial meeting established an instant connection between the foursome and they spent many a night discussing and debating the Church. Dylan and John engaged in spirited but friendly banter about the Bible, church history and the Protestant doctrine of sola scriptura. John caused some mild offense to Dylan when he suggested that Dylan would find the Truth when Dylan embraced Orthodoxy. The relationship cooled down a bit after that. A few years later, Dylan and Meg embarked on a search for a church home. Having attended several different churches only to be disappointed by the lack of loyalty to conservative Biblical doctrine as well as not feeling like a true family, the Jenkins’ search would prove to be a long one. Already gauging a church’s ability by the first two tests, they added a third test based upon their preliminary exposure to Orthodoxy: does the body of the church acknowledge Holy Tradition as necessary to supporting Biblical revelation? The churches they looked at, sadly, did not pass the tests. They ruled out Protestant churches because they were too liberal in their theology. Eventually, the Jenkins’ met with several Christian families to form a local house church. It met their needs for five years and they made many close friends during this time. 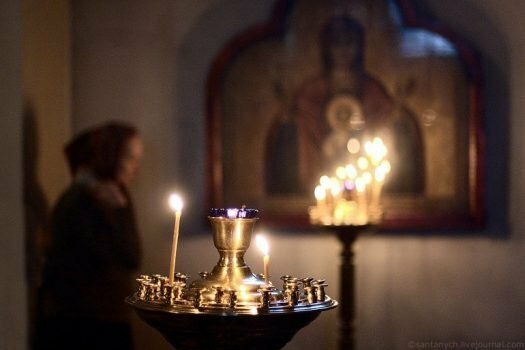 As they continued to learn more about the Orthodox Church, soon, even the house church would leave them feeling as if their spiritual “house” was not built on a sound structural foundation. The rejection of ancient traditions was a cause for concern to Dylan and Meg. Holy Tradition has withstood the many tests of time and men who sought to challenge it and upset it. How could it be questioned? In a modernized version of resurrecting the “primitive Church,” the house church attempted to recreate aspects of it while ignoring the words of Christ Himself that “the gates of hell shall not prevail against it.” (Matthew 16:18) The house church rejected the veneration of icons and the singing of hymns and yet, they sang their own hymns to modern day saints including Luther, Wesley and Moody. By 2004, Dylan and Meg moved to Williamsport, Pennsylvania and their desire to have full exposure to Orthodoxy was based upon intention to either accept it or reject it. Knowing that books alone would not give them the full experience that they desired to have, they attended Holy Cross Church and immersed themselves in Orthodox life. Knowing that embracing a new faith is akin to marriage with regards to it being a lifelong commitment, the Jenkins devoted 18 months to learning as much as they could. Still unsure, after all this time, if Orthodoxy was indeed the spiritual home they sought, they took a break from it for one year and attended another church. During this time, they realized that other churches treated doctrine as an appliance with dials and buttons that could be adjusted to suit one’s needs. Realizing that there was only one true direction in which to go, the Jenkins left and returned to the Orthodox Church. They finally knew, without a doubt, that it was the spiritual home they sought. In April of 2007, the Jenkins family committed themselves to Orthodoxy. Their newest son, Samuel, would be the first to be born Orthodox. The family enjoyed a great peace knowing that, after a long and arduous journey, they safely reached their destination.